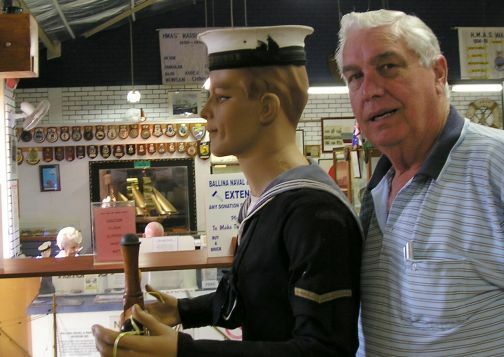 Behind the Ballina Library and Tourist Information Centre in the main street, the Ballina Naval & Maritime Museum is on the banks of the Richmond River, adjacent to a large coach and car park. The museum is staffed by volunteers and admission is by donation. Children must be accompanied by an adult. There is good wheel chair access and the taking of photographs is permitted. The main attraction is the La Balsas raft, one of three that made the epic journey from Ecuador to Australia in 1973. 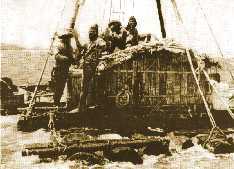 This remaining raft is complete, and there are lots of photographs and artefacts relating to the voyage on display. For those with time to spare, a 50 minute video depicting the construction and the epic crossing to Australia, may be viewed on request. including one 1:72 scale of H.M. Yacht Britannia, and hundreds of photographs and paintings. 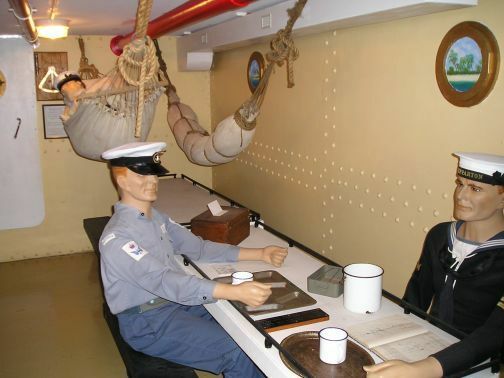 Interesting items like ballast from the H.M.S bark Endeavour and decking from the Krait, a vessel used in the 1943 covert operation Jaywick during WWII, are also on display. There is a picnic area between the river and the museum building and public toilets and disabled facilities are available. The recently refurbished swimming centre is also adjacent. The museum is open daily from 9am to 4pm, Eastern Standard Time, with the exception of Xmas Day, Boxing Day, Anzac Day and Good Friday.